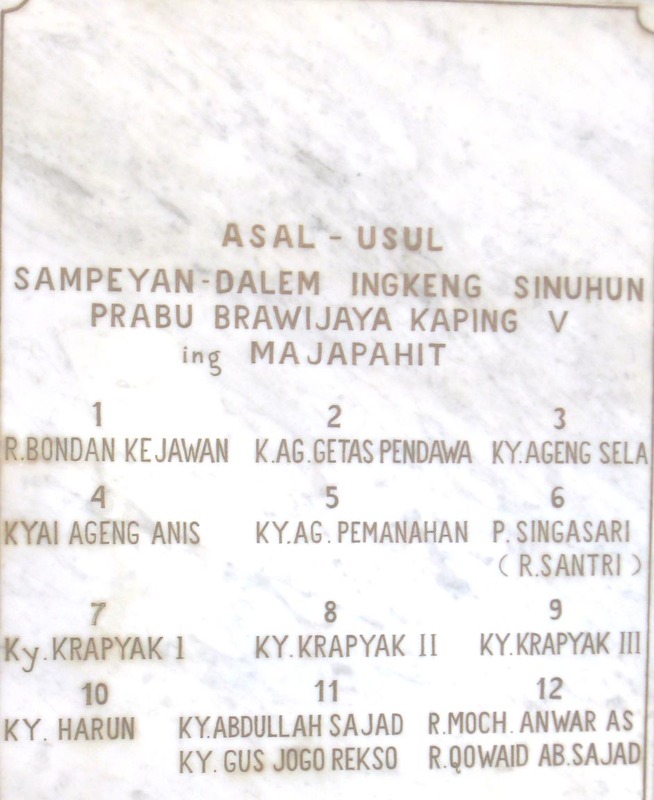 After the collaps of Majapahit Kingdom, which sign by symbol “Sirna Ilang Kertaning Bhumi” (the lost of welfare of the earth), Brawijaya King’s sons and daughters also spread to various regions. One of the princes is Raden Bondan Kejiwan. He is Ki Ageng Getas Pendowo’s father that lower Ki Ageng Selo. The last name is famous as a legendary figure who supposedly could conguere, even catching lightning in a tremendous battle to leave the eternal flame in the Mrapen area . Also he was the spear that creates Kyai Plered, a weapon heritage which later became hereditary dynasty for mentawisan (Mataram dynasty descent). The Magic spear is what later was revealed to Ki Ageng Enis and Ki Ageng Pemanahan up to Danang Sutawijaya. In the reign of Sultan Hadiwijaya in Pajang, pass attempts rebellion, struggles Demak inheritance rights to the throne, made ​​by Arya Jipang or also known as Arya Penangsang. In a fierce battle was finally lance Kyai Plered successfully nested into the stomach of Arya Jipang, intestines unraveled. And the rebellion was extinguished. For services performed Commander Wiratamtama, Ki Ageng Pemanahan and Ki Ki Ageng Penjawi on strategies to face Arya Jipang, the Sultan Hadiwijaya pleased to provide Alas Mentaok as fief to Ki Ageng Pemanahan, while Ki Penjawi received the same prize in Pati region. Alas Mentaok gradually developed into a fertile agricultural region prosperous, and subsequently became the forerunners of the Islamic Mataram kingdom. When Pajang receded, the dawn breaking power in the bhumi Mataram. 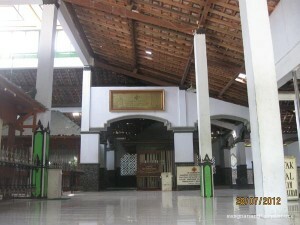 Danang Sutawijaya also known as Ngabehi Loring Pasar or Panembahan Senopati first ascended the throne as king of Islamic Mataram. When developing Mataram, one sister Panembahan Senopati named Prince Singosari, it marginalizes itself from the center of power. Right from the beginning he was on his theology as taught Wali Songo or the clergy afterwards. He then went rogue in order to spread the religion in rural areas of Kedu. In a land of rolling hills on the west side of Mount Merapi, Senopati’s brother has settled. That is not how high the hill has a cluster of very thick bamboo groves. From a distance it’s appear a mountain covered with bamboo groves. That is why the area of ​​residence of Prince Singosari is then better known as Gunungpring (Mount of Bamboo). Since Prince Singosari really want to unite, together with the people, so he deliberately covered his patrician identity. 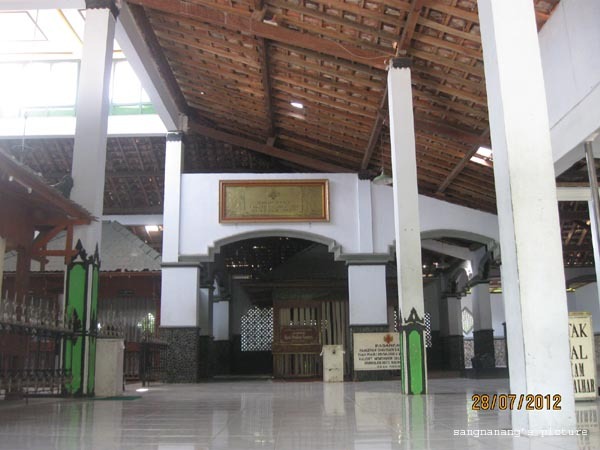 Because he was known pious and ever study in islamic schools, the community around called him with the title Raden Santri (Prince of Islamic student). Kyai Raden Santri classified as early scholars who spread the religion in the region around of Mount Merapi, Merbabu, Andong, Sumbing, and the mountain range along Menoreh hills near Kali Progo. Raden Kyai santri successive descendants Pupils are Kyai Krapyak I, Kyai Krapyak II, Kyai Krapyak III, Kyai Aaron, Kyai Abdullah Sajad, Kyai Gus Jogorekso, Raden Anwar Moch U.S., Raden Abdul Qowaid Sajak, until Kyai Dalhar, and including Kyai Ahmad Abdulhaq. Pupils Raden Kyai Santri offspring is then a cleric spreading Islam and become leaders in the Gunungpring today. 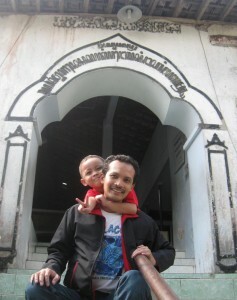 This role is now continued through Darussalam islamic boarding school in Watucongol. 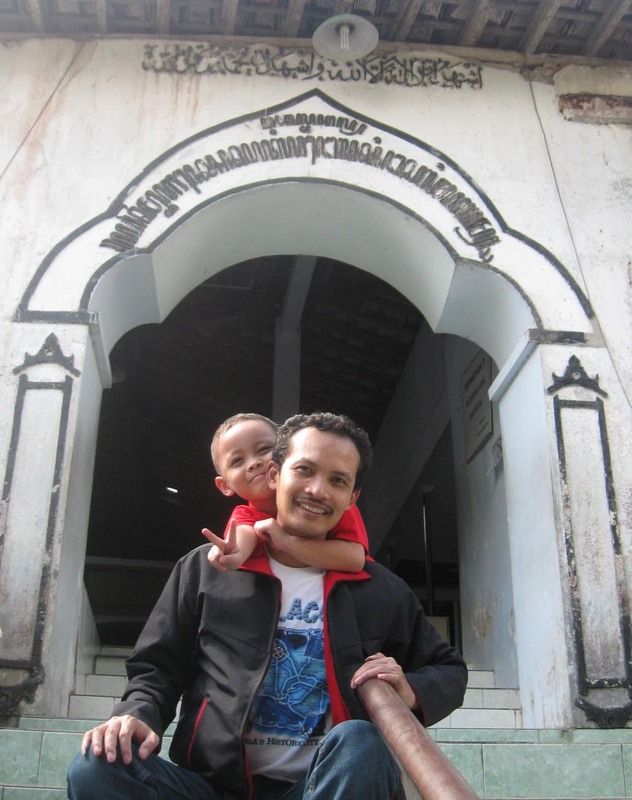 The cemetery of Raden Kyai Santri and their offspring are mostly located in the region of Gunungpring and is now a place of pilgrimage visited by Muslim from different parts of the country. 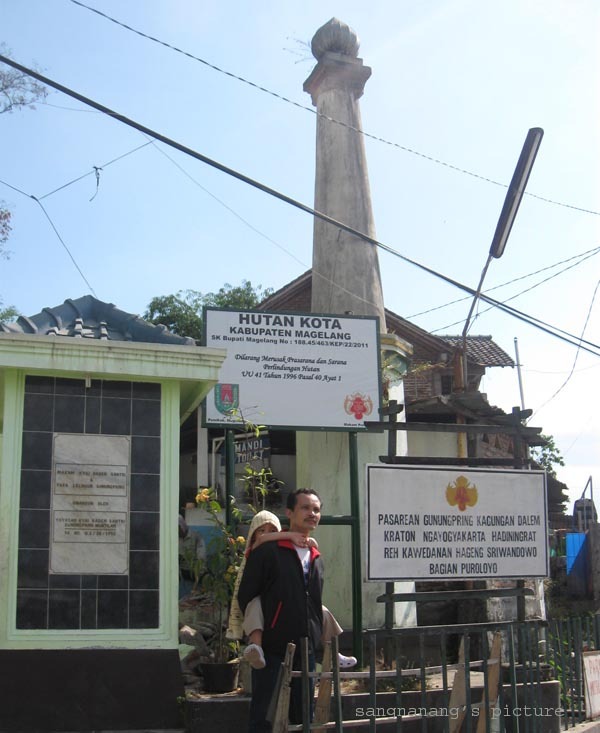 The cemetery complex of Raden Kyai Santri is located on the west side of town Muntilan, just above a very beautiful hill. Gunungpring is administratively located in the Village of Gunungpring, Muntilan District, and Magelang Regency. Nevertheless, the historical origins ownership, this cemetry complex is belonging by Ngayojakarta Sultanate Palace under Reh Kawedanan Hageng Sriwandowo Puroloyo part. Entering the bottom of the hill as the entrance to the cemetry complex, visitors are greeted by a row of shophouses and parking area hawking various religious equipment and souvenir crafts community. 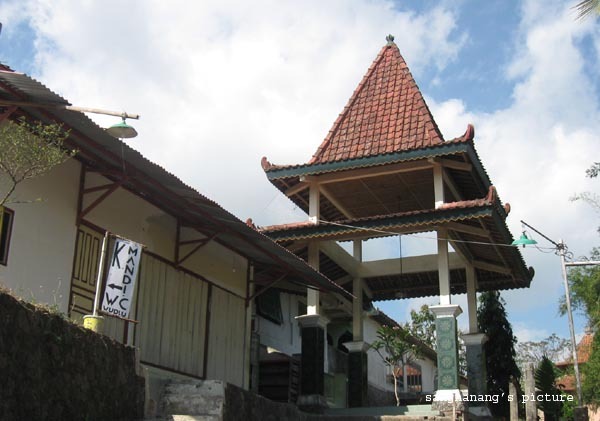 To rise to the top of the hill, there are two access roads are passable staircase, one is next to the mosque Raden Kyai Santri through the eastern side, and another passed through the mosque Raden Santri from north side hill. Gunungpring is a short hill to climb in no more than 20 minutes. Up the stairs a little uphill does require extra energy and breath. But while walking to the top, we are offered a view of the exotic surrounding . There Muntilan plains on the east side of town, Mount Merapi-Merbabu far to the east and northeast. While in the south lies a farm that very green to the limit Menoreh mountains.